This photo was taken yesterday at Military Park in Downtown Newark. Officials in Newark announced today that residents will soon be able to access the internet at home at discounted rates, and that nearly 2,000 students will receive free internet access. 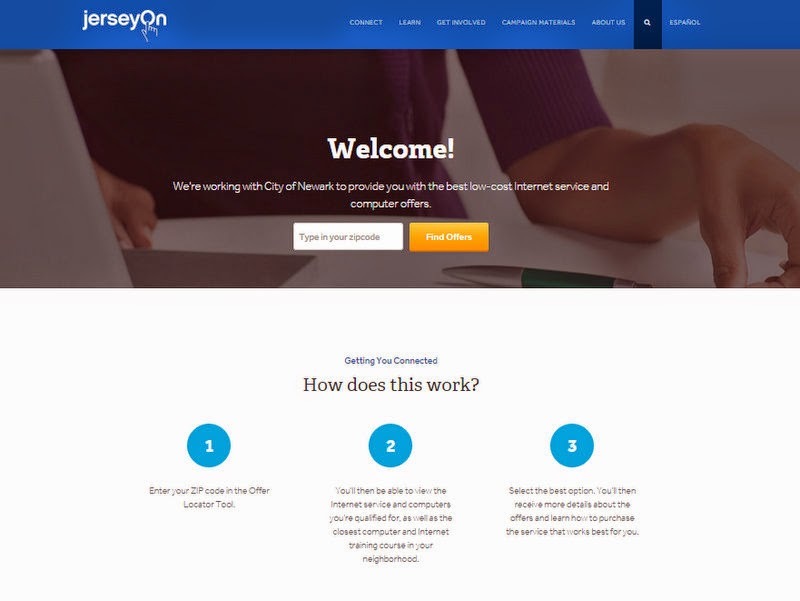 This is due to a partnership between the city and JerseyOn, an Oradell-based non-profit which works with internet providers to give internet access to low income New Jersey residents. "This is an exciting time for the City of Newark" said Reverend David Jefferson, Jr. of the My Brother's Keeper Initiative at a press conference at Newark's Career Training Center on Broad Street. "Hundreds of thousands of people across our state are living in an unconnected world", said JerseyOn chairman Josh Gottheimer. "We believe that internet connectivity is critical to young men and women if they want to have the tools to succeed in school and after they graduate", he added. According to Gottheimer, mobile hotspot internet devices will be available for purchase by city residents for $40. 1,700 of these devices will be distributed for free to students in the Newark Public Schools at the Youth One Stop center at 500 Broad Street. In addition, 100 students who participate in the My Brother’s Keeper initiative will receive free internet access for one year. This internet access will also be available to the public for $10 per month. Laptops and modems can also be purchased. "We want to get to a point in this city that we are able to offer high speed (internet) services faster than any other city in the country", said Mayor Ras Baraka. The hotspot devices will be funded by P3 Global Management. Above and Below: Josh Gottheimer of JerseyOn shows the devices that will be distributed to select Newark students for free, and to Newark residents at a low cost. Above: Mayor Ras Baraka addresses press conference attendees. This photo shows the view of the Orange Valley from West Orange. This photo was taken at Flood's Hill in Meadowland Park in South Orange. Letter to the Editor: "There is No Doubt JAC Saved Many Animals, But at What Price?" Note: Essex County Place does not endorse any letters to the editor. I would like to respond to the Letter to the Editor by L. Wasserman. The first two paragraphs are basically the only accurate statements made in this article. And, there is no doubt JAC (Jersey Animal Coalition) saved many animals, but at what price? It is unfortunate that Maplewood has contracted with Newark AHS, but this could have been avoided if JAC had adhered to the laws of the New Jersey Department of Health. Instead inept management, a non-effective Board of Trustees and the need for power ran the shelter into the ground. Did the NJDOH make up all the violations resulting from their investigation? Why didn't JAC fix them? No animal was turned away? Really, how many residents were told by the Shelter Manager and President "we don't have room for that animal (usually a cat)"? "No cost to taxpayers"? How much did JAC pay to rent the property in South Orange? How much money did South Orange and Maplewood pay to help build the shelter? How many times were the police called to the shelter by the Manager? With 80+ violations resulting from the NJDOH investigation, exactly how much "care and compassion" were the animals receiving at JAC? Animals were sent to the shelter veterinarian and never seen again, what happened to them? Rest In Peace, Lickety Split, Lucky, Charles, beautiful Juliette and all the other animals that died at this shelter. Letter to the Editor: Sending Stray Animals to AHS Shelter is "Shameful"
I lived in Maplewood for 35 years and have been a volunteer and Trustee of the Jersey Animal Coalition (JAC) for over 25 years. The firing of Maplewood ACO Debbie Hadu has reminded the public that our communities are now without a shelter, and that even if she were allowed to stay on, she would have no place to bring Maplewood strays other than the high-kill facility with which South Orange and Maplewood have contracted. I would like to point out that for the past ten years, Maplewood and South Orange have had the benefit of services of Jersey Animal Coalition's no-kill shelter at no cost to them and the taxpayers. During these ten years, JAC accepted and lovingly cared for all South Orange and Maplewood stray animals without compensation from either town. No animal was turned away. Medical treatment was provided when needed. Lost pets were reunited with owners during and after the 7 day state mandated holding period. No animal was euthanized. All were adopted into caring homes. These communities benefited from an outstanding Humane Education program both in our shelter and beyond, including visits to public and religious schools, providing countless opportunities for Community Service, Boy and Girl Scout participation in attaining badges, a teaching facility for Veterinary Technician students, and much more. Above all, JAC strove to make these communities outstanding examples of compassion, not only for their two legged citizens, but their four legged residents as well. Needless to say, the closing of the JAC Shelter is not only a loss to local communities, it is an even greater loss to the animals for whom we would have cared and saved - most of whom are now being killed in Newark and are beyond our saving. This is a shameful situation, and I would hope the people of Maplewood and South Orange are outraged by what is happening to these helpless pets. These photos show the South Mountain Elementary School in South Orange. A plan released by Together North Jersey, a project of the Rutgers University Edward J. Bloustein School of Planning and Public Policy and the North Jersey Transportation Planning Authority, calls for changes to be made to the 1.5 mile long Irvington/Clinton Avenue corridor in South Orange, Newark, Maplewood, and Irvington. 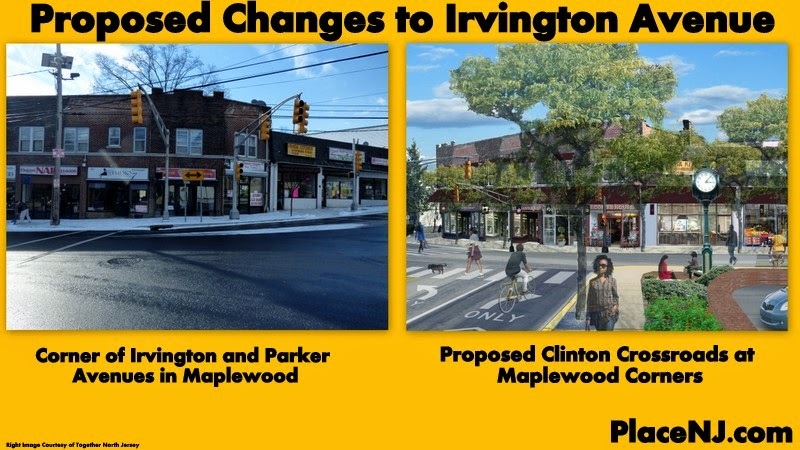 One proposal in the plan, which is titled 'Irvington Avenue: Creating a Complete Corridor', calls for branding of the portion of Irvington Avenue that is in Maplewood as 'Maplewood Corners'. Under this proposal, a pocket park would be developed at the corner of Hillcrest Place next to Diamond Gym, where a gate blocking vehicular traffic is currently in place. Plus, new trees would be installed as part of the revitalization effort. In addition, improvements would be made for pedestrians and bicyclists and new signage would be installed. The area is served by New Jersey Transit buses 107 and 37. Bus 107 connects the South Orange Train Station with the Port Authority Bus Terminal in Midtown Manhattan, and Bus 37 connects the Ivy Hill Loop in Newark with the terminals at Newark Liberty International Airport. “Enhancing pedestrian safety, improving public spaces, and making roads accessible for all modes of transportation, will both attract new opportunities for development and support ongoing revitalization efforts", said Maplewood prosecutor Annette DePalma. The report also stated that the Rose Hill Shopping Plaza in Newark, which contains a City Supermarket and several stores, is undergoing changes to improve appearance and pedestrian access. The plaza is located next to the Ivy Hill Park Apartments, New Jersey's largest private apartment complex. Recently, Irvington Avenue's business district in South Orange was branded by the Irvington Avenue Corridor Advisory Committee as 'Seton Village' due to its proximity to Seton Hall University. Above: The border of Maplewood and Irvington, where Irvington Avenue becomes Clinton Avenue. Businesses in this area include the Clinton Deli, a business serving Polish foods, Town and Country Pharmacy, and Extra Supermarket. Above: The Irvington Avenue Business District in South Orange. This photo shows people sledding at South Orange's Flood's Hill. These photos show Washington Rock at South Mountain Reservation. This photo shows Water Tower Hill in Kenilworth as seen from South Mountain Reservation. The main branch of the Newark Public Library will hold a variety of events throughout February to celebrate Black History Month. The festivities will begin on Thursday, February 5 at 5:30pm with an opening reception in Centennial Hall. A panel discussion called “Examining Black Images in African American Literature" will take place between 6:30pm and 8:00pm, and will be moderated by Dr. Adunni Anderson. Panelists and speakers will include Cheryl Willis-Hudson of Just Us Books, Marva Allen of the Hue-Man Bookstore, and Dr. Brenda Greene of the Center for Black Literature at CUNY Medgar Evers College. In addition, the new exhibition “My Soul Runs Deep: An Appreciation of African American Literature” will be open in the second floor gallery. Visitors to the exhibit will learn more about African American authors and their work. "For many decades the Library has prided itself on its extensive collections of materials focusing on African American authors and their works. We are excited to offer the new exhibit and calendar of programs featuring this rich body of literature", said library director Wilma Grey in a media release. Other scheduled events include 'Pen, Pitch, Publish, Profit: a Self-Publishing Intensive for Aspiring Authors' on Saturday, February 7 from 12:00pm to 3:00pm and 'At Black on Paper', a forum on publishing books and plays, on Saturday, February 14, from 2:00pm to 5:00 p.m. Plus, on Thursday, February 19 from 5:30pm to 8:00pm, library program 'Uncommon Genres in Black Literature' will feature authors Donna Hill and Valerie Wilson Wesley. The main library is located at 5 Washington Street, across from Washington Park. The programs will be funded by the PNC Foundation. The Newark History Society will host a program about the Newark Archives Project’s work to “Uncovering More Hidden Treasures” related to Newark’s history on Monday, February 2nd at 6:00pm. Gail Malmgreen, the project director, will speak about how she and her colleagues have described more than 2,000 archival collections on this website. The Newark Archives Project was started by the Newark History Society in partnership with Rutgers-Newark several years ago, with the "goal of identifying and describing archives with material related to Newark". The event will take place at the New Jersey Historical Society at 52 Park Place, next to WBGO-FM. The program is free and open to the public. Those interested in attending should email newarkhistorysociety@verizon.net. Refreshments will be served. This photo shows Beth Israel Hospital in Newark as seen from South Mountain Reservation. Dozens of businesses in the Montclair area will take part in the Montclair Rotary Club's fourth annual 'Taste of Montclair' event on Monday, March 9 at Montclair State University. The event will kick off Montclair Restaurant Week, a yearly celebration of cuisine from across the township. Restaurants in Montclair will offer specials to diners from March 9 until Sunday, March 15 as part of Restaurant Week. "Restaurant Week is the ideal time for everyone to visit their favorite restaurants again or make a new dining discovery”, said Rotary member Alicia Robinson in a news release. 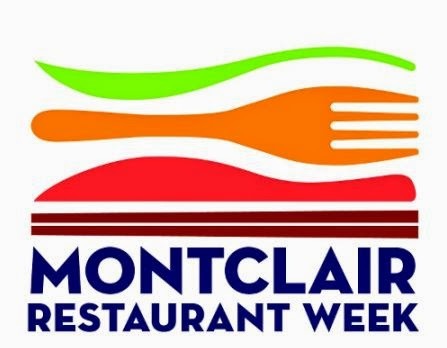 Participating businesses at the 'Taste of Montclair' event will offer special prix-fixe lunch and dinner menus to attendees, in addition to breakfast specials. “The special prix-fixe, multi-course options offered by each participating restaurant encourages diners to try several different eateries during the March promotional week", said Rotary member Joe Solano. John Sauchelli, the co-owner of participating business Jersey Barnfire Hot Sauce told PlaceNJ.com that "Montclair has always been a fantastic destination for food in New Jersey", and that he would like his business "to gain further exposure in this market". The event will take place at the MSU Conference Center at University Hall from 6:00pm to 9:00pm. A free shuttle will operate between the Red Hawk Parking Garage and University Hall. Event expenses, such as the shuttle, will be paid for by sponsors such as BMW of Bloomfield, Whole Foods Montclair, Investors Savings Bank, Haven Savings Bank, Montclair Acura, Tracey Diamond Design, and WH Linens. General tickets cost $60, To purchase tickets, or to donate, click here. All tickets sales will benefit the charities supported by the Montclair Rotary Club, including Toni's Kitchen, the Human Needs Food Pantry and the Salvation Army. In addition, all proceeds from the special cocktail and a portion of bar proceeds will be donated to the Rotary. "Guests can sample the best the area has to offer and know that they will be helping those in need and at risk in our community", said Rotary member John Lee. Note: PlaceNJ.com is a media partner of Taste of Montclair. This photo shows the view of Columbia High School in Maplewood from South Mountain Reservation. The Essex County Deer Management Program hunt is coming to two Essex County parks in the next several weeks. The hunt will start at South Mountain Reservation in Millburn, Maplewood, and West Orange on Tuesday, January 27 and February 3 and Thursdays, January 29 and February 5. The hunt will continue at Hilltop Reservation and the former Essex County Hospital Center in Verona and Cedar Grove on Tuesdays, February 17 and 24 and Thursdays, February 19 and 26. All hunts will only take place in the afternoon hours. “Emotionally I am against culling deer", said Freeholder Patricia Sebold, "but intellectually I know it’s the right thing to do if we want to save our reservations". All hunters are volunteers who are state licensed and have completed an orientation program. During the hunts, marksmen will station themselves in trees at least 20 feet above the ground. Both parks will be closed to the public for the entire day of each hunt. During the Hilltop Reservation hunt, part of Fairview Avenue will be closed to traffic. During the South Mountain Reservation hunt, all major county roads will remain open, as will the Turtle Back Zoo, Codey Arena, Park-N-Ride, and McCloone's Boathouse. According to Essex County, all killed deer will be inspected at a check station before being transported to Hillside's Community FoodBank of New Jersey. Mills and Eagle Rock Reservations will not be included in the hunt. This photo show the view of Newark and New York from South Mountain Reservation in Maplewood. These photos show the location of the underground East Orange Water Commission Reservoir on the South Orange/Maplewood border. This photo was taken near the Essex Fells Post Office. This photo shows the view of Millburn from South Mountain Reservation. This photo shows Crest Drive in the South Mountain Reservation in Millburn. The Fairfield Municipal Alliance will sponsor a trip to a New Jersey Devils game on Friday, Feburary 6, when the Devils will play the Toronto Maple Leafs. A bus will leave the Town Hall parking lot at 230 Fairfield Road at 5:30pm, and the game will begin at 7:00pm. The cost for a ticket, bus transportation, food voucher, and soda voucher is $50 per person. No refunds will be issued. Only 125 tickets are avalible, so those interested in attending should sign up here as soon as possible. For more information, call Denise Cafone at 973-882-2700, extension 2501. The Township of Irvington will host the 30th annual 'Legacy of a Dream' Commemorative Tribute to Dr. Martin Luther King, Jr. tomorrow starting at 1:30pm in the Irvington High School Auditorium. This year's guest speaker with be Pastor Delores A. Watson of the First Congregational Christian United Church of Christ, and the honoree is Irvington IHOP owner Adenah Bayoh. Plus, Craig Garner will recite poetry, and the Irvington High School Dance Class, the Thurgood Marshall and Florence Avenue School Choirs, and the Irvington High School Band will perform. Admission is free. The event will be presented by the Irvington Dr. Martin Luther King Commemorative Committee. Irvington High School is located at 1253 Clinton Avenue. Students at Columbia High School (CHS) in Maplewood held three forums called 'Columbia 2025' today during lunch periods in the school's Black Box Theater. The forums were part of the 'Conversations at Columbia' series, which started in December. Each forum discussed ways that current issues at CHS could be fixed within the next ten years. Several school staff members, including Principal Elizabeth Aaron, attended the forums, which were moderated by six CHS 12th grade students. After a comment at one forum regarding how a student's performance in elementary school affected their placement in middle school, Aaron informed students that the curriculum in the South Orange Maplewood School District's elementary and middle schools has changed in the years since CHS students attended those schools. One of these changes was that pull-out Enrichment programs for students in fourth and fifth grades had ended so that "all students receive that kind of deeper and enriched learning". "These are the students who will graduate in 2025", Aaron said, referring to current elementary school students. Many students were divided over the current system of academic leveling at CHS and at South Orange and Maplewood Middle Schools. At the beginning of the forums, moderators asked students to raise their hands if they were in an Honors or Advanced Placement level course. The majority of students indicated that they were, including the moderators. One student pointed out that because of this, moderators "are not hearing enough from different groups". Some students spoke out in support of the leveling program, including one who said that "leveling is extremely important". However, others voiced opposition to the system. Comments ranged from calling leveling "an elitist way of learning" to recommending that higher levels be accessible to more students. Another issue discussed was the lack of diversity in some school sports teams. One student spoke about how the neighborhood that students come from often influences what sports they will play. The student pointed out that many players on the school football team live in one Maplewood neighborhood, while most of the lacrosse players live in a different part of town. The student continued by suggesting that students may only want to play a sport with people that they are friends with from their neighborhood. Other issues discussed at the forums included special education programs in elementary schools, and the apparent differences in motivation demonstrated by teachers to students in upper and lower level courses. This photo shows Eleven80 and the National Newark Building, two of Downtown Newark's tallest towers. While many officials in Bergen County are condemning the upcoming two year closure of the Izod Center in East Rutherford, some officials in Essex County were pleased to hear the announcement. This is because events previously scheduled for the Izod Center, which opened 34 years ago as the Brendan Byrne Arena, will now take place at Downtown Newark's Prudential Center. The Prudential Center opened in October, 2007, and is currently the home to the New Jersey Devils, basketball teams for Seton Hall University and the New Jersey Institute of Technology, and touring concerts. In a statement, Essex County Executive Joseph DiVincenzo, Jr. said that he has "always maintained that this region should not have two major sports and entertainment venues", adding that the "Prudential Center is one of the finest and most modern facilities of its kind, offering its visitors a first-class experience whether they are cheering for their home team, watching an ice show or enjoying a concert. The City of Newark, Essex County and Northern Jersey have witnessed economic growth and job creation because of ‘The Rock’ and its impact will continue to grow and benefit this region". Newark Mayor Ras J. Baraka express similar thoughts, saying that the closing will "represent an opportunity for Newark to shine in a brighter light, as the many entertainment programs scheduled for that facility will come to our world-class Prudential Center in our downtown". However, Baraka acknowledged that the city's "joy...is tempered by the knowledge that one of our state's great and iconic entertainment centers is darkening its lights and closing its doors". The decision by the New Jersey Sports and Exposition Authority (NJSEA) has angered many lawmakers in Bergen County. State Senator Paul Sarlo said at a meeting of the NJSEA that the Izod Center has been one of the "greatest sports and entertainment arenas in the entire country for many, many years", and that it is being closed "without a plan". Sarlo's legislative district includes the Izod Center. However, some Newark leaders are upset about the closing of the Izod Center. 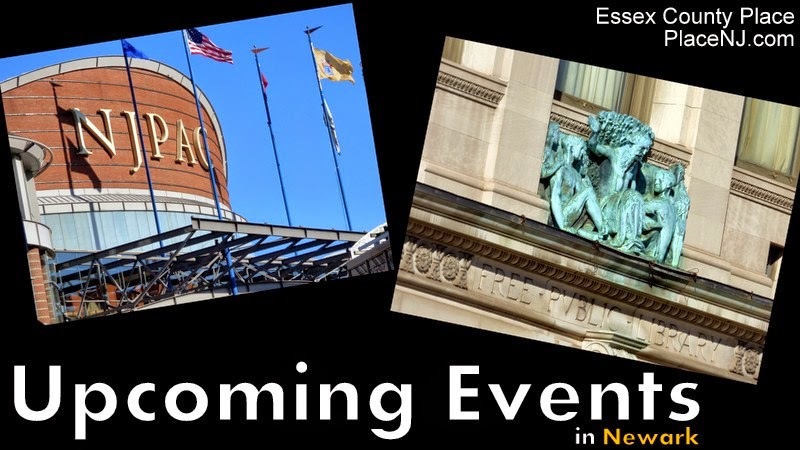 Ramona Thompson of the Newark Downtown District told Essex County Place that "it is definitely unfortunate because the Izod is a great venue that people in New Jersey and surrounding areas have visited and loved for a decades". The campus of the former Hoffmann-La Roche pharmaceutical plant in Clifton, Passaic County and Nutley will become a medical school. Officials with Seton Hall University and Bergen County based Hackensack University Health Network announced that the two organizations will partner to form New Jersey's first private medical school. Construction will begin later this year, and the school is expected to be completed by 2017. "Seton Hall and Hackensack are both well-respected institutions", said Essex County Executive Joseph DiVincenzo, Jr. in a statement, adding that "their introduction into the Nutley and Clifton communities will create new jobs, enhance the housing market and create limitless economic development opportunities for local businesses". Both partners already have a large presence in Essex County. Hackensack University Health Network acquired Mountainside Hospital on the Montclair/Glen Ridge border in 2012, and Seton Hall University has been located in South Orange since 1860. SHU's School of Law has been located in Downtown Newark since 1951. "it is imperative we continue to support our future workforce through a premier school of medicine", said HackensackUHN CEO Robert Garrett in a statement. Seton Hall president Dr. A. Gabriel Esteban added that the university is "perfectly poised to create a school of medicine that will educate talented people in the diverse fields of healthcare". A press conference was held at the site on Thursday morning. Governor Chris Christie, a graduate of the Seton Hall University School of Law, spoke at the event. Below: HackensackUMC Mountainside in Montclair and Glen Ridge. This photo shows buildings new and old on Clinton Street in Downtown Newark. This photo shows the pedestrian walkway on the Route 280 Stickel Drawbridge, which connects Newark with East Newark, Hudson County. The South Orange Maplewood Online Radio Experience (SOMORE) and the Get-Out Fund will sponsor a forum called 'The Challenge of Black Leadership' on Martin Luther King, Jr. Day, Monday, January 19th, starting at 9:00am. 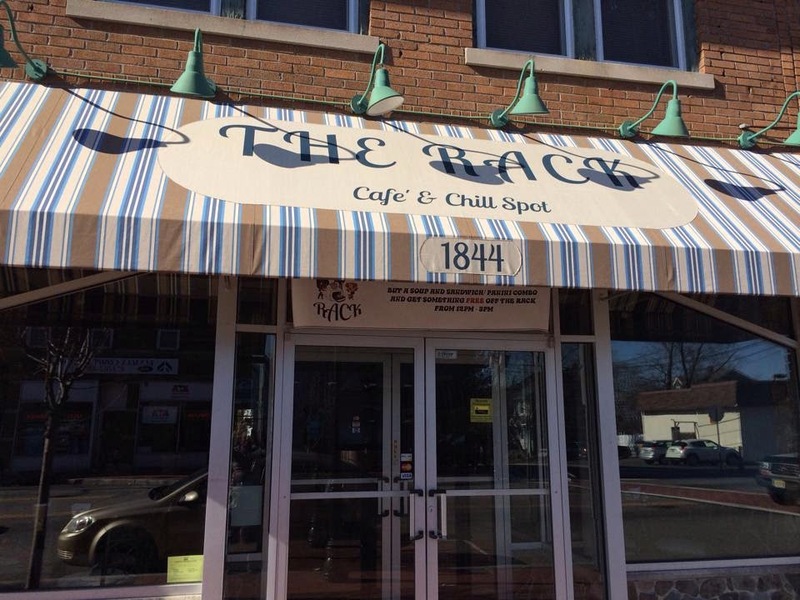 The forum will take place at The Rack Cafe at 1844 Springfield Avenue in Maplewood. Marjorie Lloyd of SOMORE said that that it is time for residents to "come together and form a base for what our community can be". SOMORE produces a nightly radio show regarding race and community issues called 'In the Village with Anselm and Marjorie'. NJPAC and NPL to Host Tributes to Dr. Martin Luther King, Jr.
A celebration of the life and message of Dr. Martin Luther King, Jr. will take place at the New Jersey Performing Arts Center's (NJPAC) Center for Arts Education on Saturday, January 17 from 11:00am to 1:00pm. Activities will include performing arts workshops, and the Dance Theatre of Harlem will perform. The event is free, and children and their families are encouraged to attend. The center is located at 24 Rector Street. On Saturday, January 24, the Newark Public Library will collaborate with the New Jersey Institute for Social Justice and the Newark Community LGBTQ Center to honor Dr. King through a program called "Injustice Anywhere is a Threat to Justice Everywhere". The award-winning youth performance group 'Special Ensamble' will perform at the event. The ensemble has performed at several recent city events, including Downtown Newark Winterfest at Championship Plaza. Following the performance, Jaleesa McEachin will recite poetry, and activist Kevin Powell will speak regarding the relevance of Dr. King's views today. The Interim President and CEO of the New Jersey Institute for Social Justice, Jerome C. Harris, Jr., will host the program. The presentations will begin at 2:00pm in Centennial Hall. The Newark Public Library is located at 5 Washington Street. This photo shows a bridge over the East Branch of the Rahway River at Memorial Park in Maplewood.